Reading Comprehension - How do dolphins sleep? Since Dolphins are like human being in so many ways. 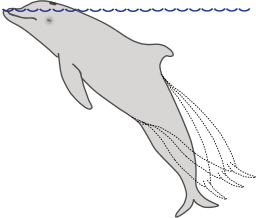 For example, dolphins have a special respiratory just like humans. The only difference is that dolphins are able to stay underwater for a long time without breathing oxygen. But how do dolphins manage to sleep without drowning?